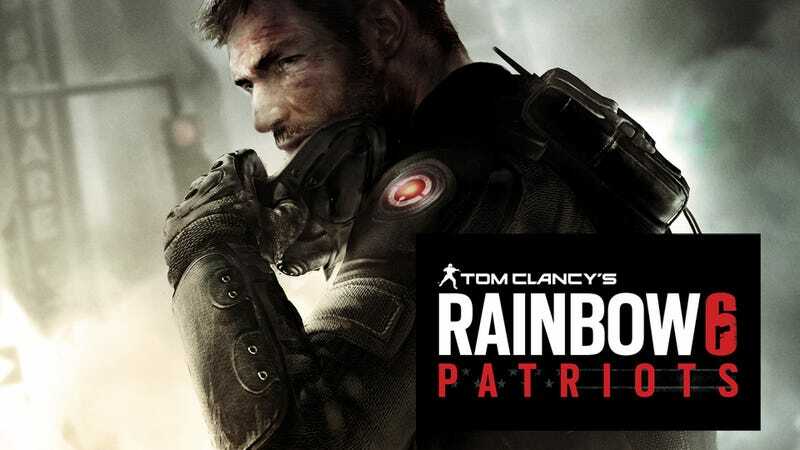 After a two-game vacation in Vegas, Tom Clancy's elite counter-terrorism unit takes on an all-new threat threatening to destroy the U.S. government in Rainbow 6: Patriots now in development for the PlayStation 3, Xbox 360, and PC. In the latest entry in the venerable series, Team Rainbow faces off against the True Patriots, a well-organized and well-funded revolutionary group aiming to overthrow a U.S. government they feel has been rendered useless by corruption. Players will have to make "tough ethical decisions" as the story progresses, signaling a brand new direction for the franchise. Perhaps that's why they've stopped using Rainbow Six in favor of the sleeker, sexier Rainbow 6. We broke the story about the game's new take on shooters back in June. In that story we go into a bit more depth about how the morality system will work and how this is a more human story that goes beyond team A shooting team B to explore the consequences of taking a life. "Terrorism has evolved, and so has Rainbow 6. In Tom Clancy's Rainbow 6 Patriots, all the team play, tactics, and realism that fans of the series love have been coupled with an exciting new narrative direction," said David Sears, creative director at Ubisoft. "This adds an unprecedented level of humanity that will make Tom Clancy's Rainbow Six Patriots an extremely tense and immersive experience." So we're in for a deeper, more compelling single-player experience than the series has ever seen, plus some new multiplayer and co-op features that will reward teamwork and cooperation, two elements that have always been close to the heart of the series. Rainbow 6: Patriots kicks down doors in 2013. Expect to be choked with assets and information between now and then.